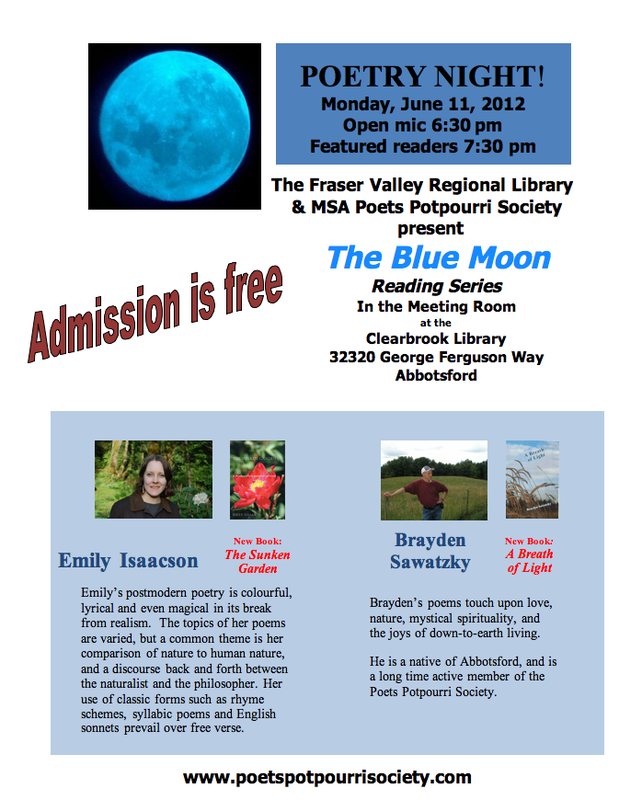 Members of MSA Poets Potpourri Society and friends met at the Clearbrook Library Monday, June 11th for the fourth poetry night of 2012. 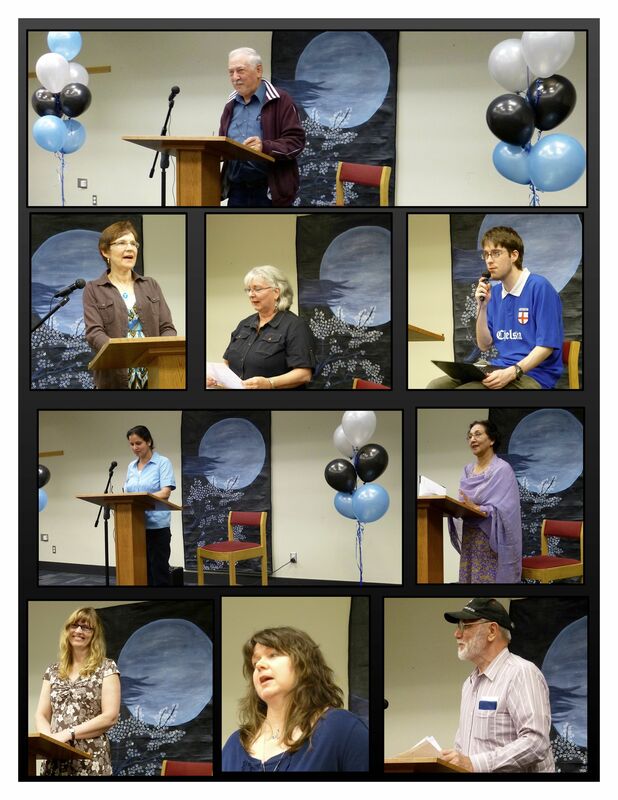 Nine readers read during the Open Mic segment that began this Blue Moon Reading. As usual the poetry took us to a variety of places—from a kiss to a dream, from Vancouver to Prince George, from what it feels like to lose hearing, to a lightning storm, and more. Then we made MSA PPS history by launching two books in one evening. Our president Brayden Sawatzky unveiled A Breath of Light—his collection of around 90 poems along with personal photos. 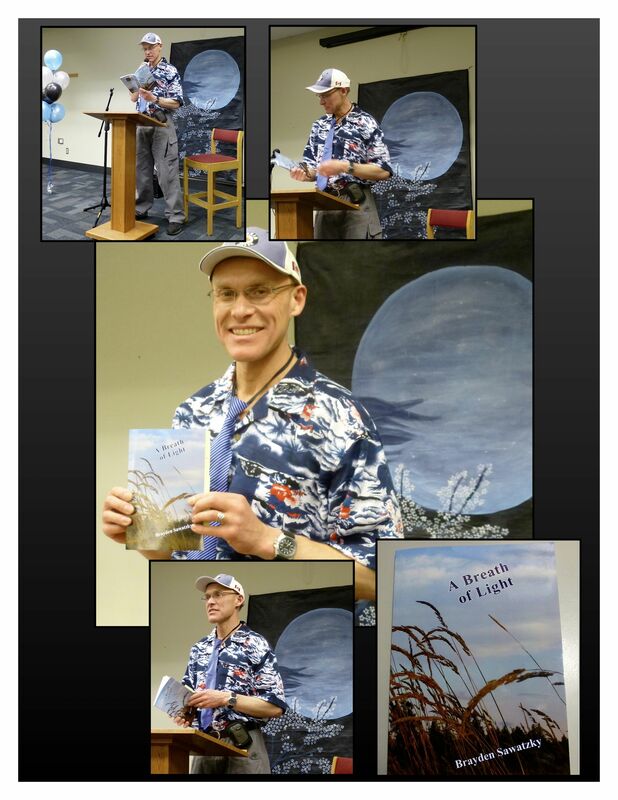 We thoroughly enjoyed the droll wisdom and uplifting spiritual perspective of the sampling of poems he read. After a break we heard from Emily Isaacson as she read from her newest book, The Sunken Garden: A Postmodern Garden of Verse. Emily’s vivid image-rich poems are published here in book form after appearing first on a daily blog. The book—made up of a main section of disciplined syllabic verse poems followed by a shorter section of sonnets—has a compact, controlled feel, while at the same time pulsating with the richness of nature and philosophy. 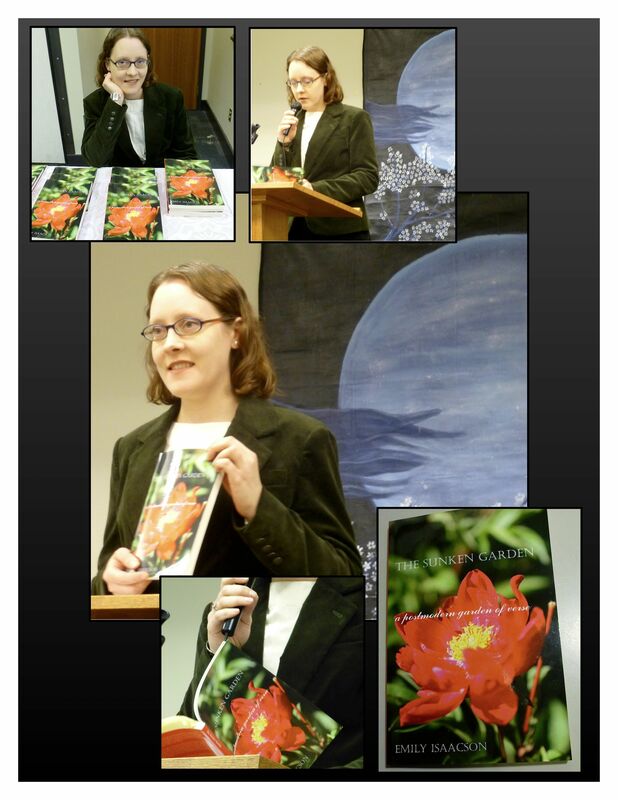 Emily Isaacson with her new book The Sunken Garden. MSA Poets Potpourri Society now takes a break until September 10th, when we invite you to help us celebrate Literacy Month with your poems about FOOD.